I have a component which requires forward voltage 4.0-4.6v, 20-150mA. Can I use 1N4001 diode to drop voltage of nerdkit circuit (5v)? I am hoping someone else will help us out here. I believe the short answer to your question “Can I use 1N4001 diode to drop voltage of nerdkit circuit (5v)?” is probably yes. It should work if your device will work well with a voltage fluctuation do to current of about 0.2 volts. This web page Has a very detailed examination of the forward voltage characteristics of the 1N400? diode family. It is evident that the notion of a constant forward voltage drop on these diodes is a considerable oversimplification and somewhat misleading. It would appear to me( from the charts on that page) that the forward voltage drop would change from about 0.7 volts at the 20mA current to about 0.85volt at the 150mA current level. From the tests information indicated on that web site, the voltage levels to your component would be in the order of. 5V -0.7V = 4.3V when the current draw from the device is at a low 20mA and 5V-0.85V=4.15V when the current draw from the device is at a high 150mA. Since both he upper and lower ends of the voltages/current range are within the operating range you listed for the component I would guess it would work. Depending on the nature of the component the voltage fluctuation that would result from possible changeing current levels through the component may or may not be an issue. oshjdf, why not just use a resistor voltage divider? These are my thoughts on this subject I am hoping if there is are errors in my thinking someone will point them out. The problem with a resistor voltage divider is it would be much worse then the diode at maintaining a constant voltage to the component if the load of the component varies. In order to match the >0.2 volt variation from the diode set up with a resistor divider, the resistors selected would have to have a very small resistances values and be large in physical size to dissipate considerable heat. The 5 Volt supply required would also be large. There would be two ways to accomplish a resistor voltage divider type of circuit. Use one single resistor and the component in series. In order to have a voltage to the component of say 4.3Volts you would require a voltage drop across the resistor of 0.7 volts. Applying ohms law, R= V/I or R =4.3/0.02 = 215 ohms for the lowest current draw of 20 mA to 4.3/0.150 or R = 28.6 ohms for the highest rated current draw of 150 mA. Therefore the effective resistance of the component could be any value in the range of 28.6 to 215 ohms. It would be impossible to choose a value of resistor that would work through that range of loads and maintain a voltage within the range of the component. For example if the divider was made using a 18 ohm resistor then the voltage drop across that resistor would variety from V = IR or 0.020 * 18 = 0.36 volts when the component was drawing 20 mA to .150 * 18 = 2.7 volts when the component was drawing 150 mA. The voltage level available to the component would change by 2.34 votes and be outside the range of the component voltage rating. The voltage to the component would be far less constant then when using a diode as the current draw is changed by the component between 20 and 150 mA. Use two resistors in series across the 5 volt power supply and place your component in parallel to the smaller resistor in that voltage divider. The ratio of the resistor #1 to resistor #2 would be 0.7/4.3 = .163. any combination of resistors with that ratio would produce the desired 4.3 volt drop across the larger value resistor when the component was NOT connected to the circuit. The component that is in parallel to the resistor #1 will be influencing the circuit. In order to minimize the effect of the changing load though the component we must make the values of the resistor as small as we can. By reducing the resistance values of resistors #1 and #2 the changing effective resistances thru the component becomes less significant and the voltage divider become more and more stable as far as voltage to the component is concerned. The problem is that as the resistors become smaller the current through the circuit increases and the load on the 5 volt supply will become very large. All that extra electrical energy is going to heat in the resistors the circuit becomes very inefficient and is still not a stable voltage to the component. I am not at all certain how clear any of this is to anyone, I suspect it is not clear at all. I would certainly like to here some other opinions or explanations on this. In short I believe the diode idea is far better then a resistor divider for a component that has as much possible change in the current it draws as your component does. .02 to .15 mA. Range. Oops! Drew my diagram incorrectly in last post. I had the component on the 0.7volt side of the divider. I would probably use a LM317 regulator and run my whole circuit at ~4.3v. That takes care of the supply voltage as well as interface to signal pins, everything will be compatible with the component. I never even considered any signal pins to or from the micro, I was thinking power to a stand alone component. Noter’s idea is certainly the best solution when we take that into account that it is very likely that the micro will need to communicate with that component in some way. You could use a 39 cent 4.3 volt zener diode too if you need to keep the voltage steady with changing current. Short answer : Yep. Forward voltage drop through a 4001 diode is about .7V and will give you the range you need. I have been using diodes for that purpose for years. Long answer : Maybe. A lot depends on the current you need and what the supply can handle too. Some times, you might find the voltage drop to be 2V or more. But you really just about have to try to get that. Using resistors as a voltage divider is current dependent. Not really a good way to go unless they are high wattage and low resistance. Then the power requirements go way up. The Zener diode works well if the supply resistor stays within the current draw parameters. Too large and your useful current drops. Thanks for your replies. I have tested 1N4001 diode to drop voltage for the whole circuit. Since I used only one 1N4001, the voltage dropped to 4.3V. There was no problem with the Nerdkit circuit but the LCD was dim. Since the voltage had been dropped, it was obvious to use smaller value of resistor. But I had problem with the component. It seemed to not function properly. I had wrong current in mind thus posted wrong specifications for the component. The right one: 4.0-4.6v, 20-1500mA. If looking at specifications of 1N4001 diode, the maximum current it allows is 1000mA. It can be used to drop voltage but it will not allow more than 1000mA. Coincidentally, 5V voltage regulator in Nerdkit circuit also allows maximum current 1000mA. Thus the component cannot be integrated with the Nerdkit circuit unless I make some modifications of the circuit. Fortunately, I found a regulated DC plug rated 5V 2A. To use this, the 5V voltage regulator has to be removed. But the voltage still need to be regulated to 4.0-4.6V. 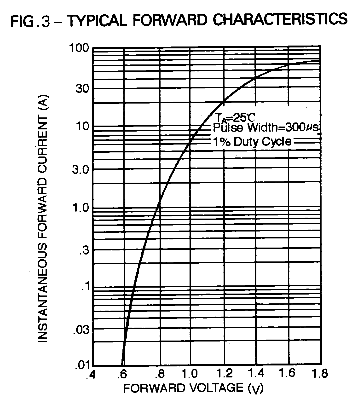 1N5400 diode may do the work to drop voltage and allow the needed amount of current. 1N5400 allows 3A. Right now I plan to use the DC plug and 1N5400 to drop voltage for the whole circuit. Please comment about this. I think for higher currents you can move away from a diode and use a LM317 type adjustable regulator. There are plenty of circuits available on the web. You could adapt one for your use. Since your current requirements are high, you can even consider a switching regulator module. You can get these cheap from ebay. Possible a DC-DC Buck converter. For $1.75 that seems reasonable.